Joanna graduated from the Canadian Memorial Chiropractic College, where she was selected for a clinical internship at the St. John’s Rehabilitation Hospital in Toronto. She also holds a Bachelor of Human Kinetics degree from the University of British Columbia, where she competed as a Varsity athlete. She has worked with treatment teams at several local and international sporting events, including Ironman Canada. She has worked with a variety of populations from professional athletes, to weekend warriors to office workers. She is a fully certified Active Release Techniques ® (ART) provider and is also certified in Kinesiotaping®. Joanna enjoys the education aspect of her career. One of her goals is to ensure all of her patients understand their body and how they can assist in their healing, prevent other injuries and improve their overall health and well being. 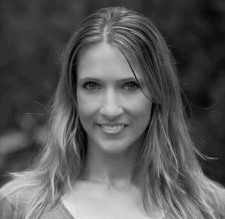 Joanna has led workshops and lectures for various athletic and corporate groups on posture, stretching, work place and sport injury prevention. She was also on faculty at the Boucher Institute of Naturopathic Medicine. Joanna believes in a multidisciplinary approach to care. She works to integrate her individualized patient treatment plans with those of the other practitioners at Teamworks Health Clinic. This patient-centered approach helps patients achieve their health and wellness goals efficiently and effectively. Joanna participates in a healthy, active lifestyle. 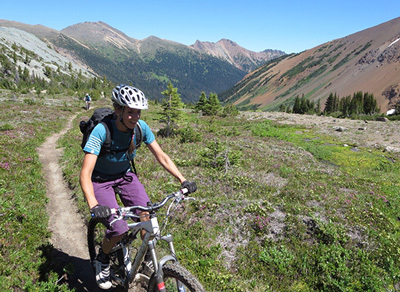 She spends her free time skiing, mountain biking, trail running, practicing yoga and traveling.